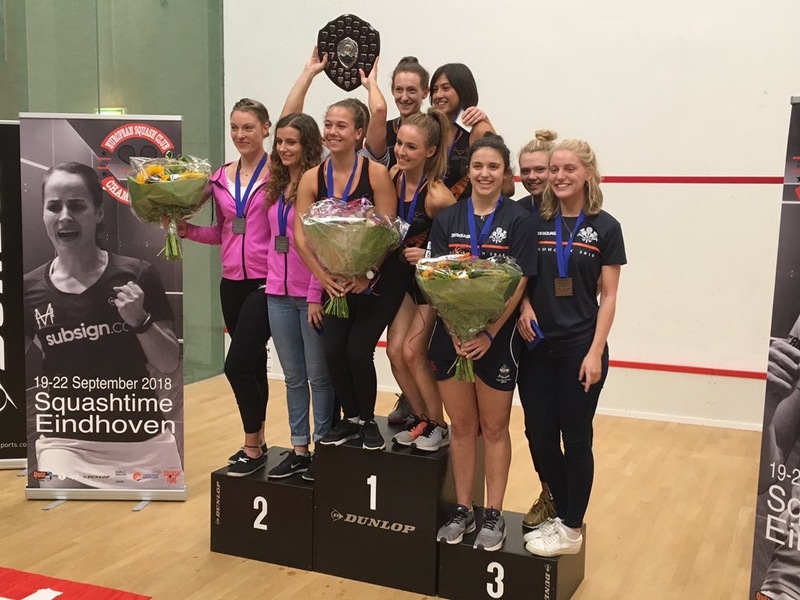 Elspeth Young was full of praise for her Edinburgh Sports Club (ESC) teammates after they secured a memorable bronze medal at the European Club Championships (ECC) on Saturday. The trio of Georgia Adderley, Carrie Hallam and Young claimed a dramatic 2-1 win over Pontefract in a 3/4 play-off, avenging their Pool defeat to the Yorkshire club earlier in the tournament. 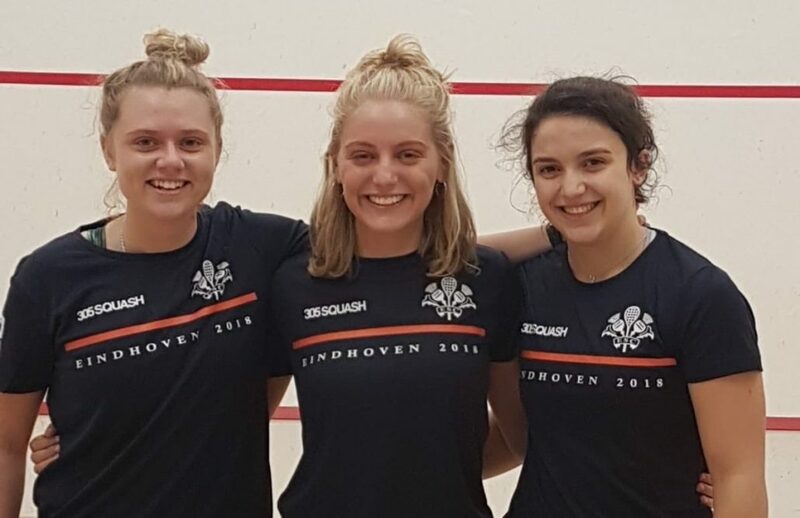 Young, who won two of her four matches at the event held in Eindhoven, Netherlands, needed the help of her teammates in the play-off match to seal victory and they duly delivered. 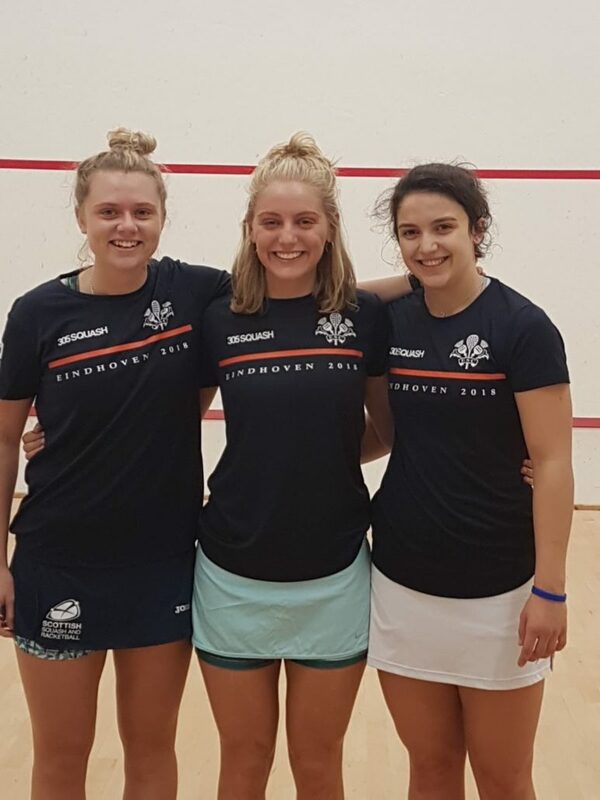 Having previously lost in four to Sarah Campion in their Pool B match Georgia Adderley produced a very impressive performance in the play-offs to defeat Campion second time round 11-6 11-3 11-4. The win came after Young lost to in-form Katie Smith in three meaning it came down to the final match. Hallam had beaten her vastly more experienced opponent Andrea Santamaria in the Pool stages in 26 minutes but needed nearly an hour to seal victory this time. The Edinburgh University student claimed a tense 11-8, 5-11, 11-7, 10-12, 11-9 victory which ensured bronze. A delighted Elspeth Young, 22, said: “It’s a great achievement and I’m so happy. “Playing team events and representing Scotland in any shape is one of the main reasons why I love this sport. “It’s what I thrive on and enjoy the most. “After we found out which clubs from the different countries had entered the tournament, we felt there was a chance to come third or fourth but it would take a big effort. l/r, Elspeth Young, Carrie Hallam and Georgia Adderley. 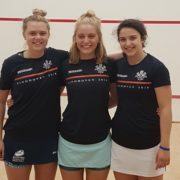 Young, speaking as the sport celebrates Women’s Squash Week 2018, continued: “In the play-off, it was the best I have seen Georgia play and I’ve seen her play a lot of matches. “She was so relaxed and did exactly what she needed to do. It was the most composed performance I’ve ever seen from her. “Georgia just tucked her head down and was very calm and made the court as big as she needed to which was exactly the right thing to do. “Carrie was naturally very nervous and she was playing against a far more experienced player who was able to cope with the nerves. “It took her a while to get into it and she eventually did brilliantly to push through the nerves to get the job done. Young will return to singles action on the PSA Tour later this year beginning with a tournament in Rhode Island, USA in November followed by another PSA Challenger event in Creteil, France. She’s hoping her work on the mental side of the game will stand her in good stead moving forward. The recent Napier University graduate said: “A lot of my recent preparation has been off court, getting my mind right which should allow me to play freely and not be held back by something non-physical which has been happening. 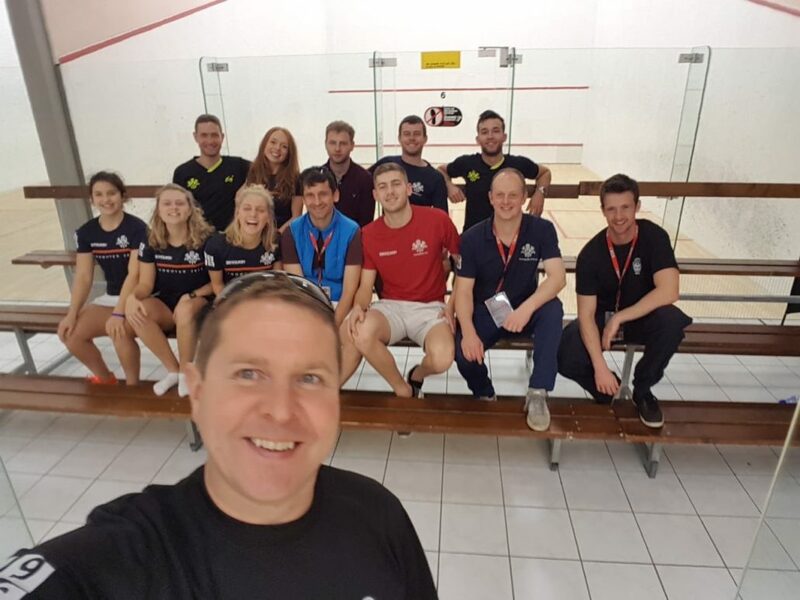 – Edinburgh Sports Club’s men’s side were also competing in Eindhoven and managed to better their seeding of seventh, finishing in sixth place. The six-strong squad included Rory Stewart, Simon Boughton, Ross McHoul, Jacques Laas, Gareth Brown and Nick Forrest. For full ECC results, click here. Entries are currently open into the Scottish National League for the 2018/19 season.